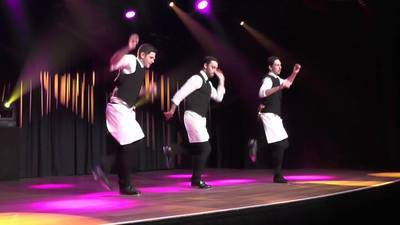 From the creators of The Three Waiters, Mark Bradley and The Three Waiters International (in association with Kermond Creative) present Waiters On Tap, the perfect WOW entertainment for corporate events, openings, award nights, weddings and private events. 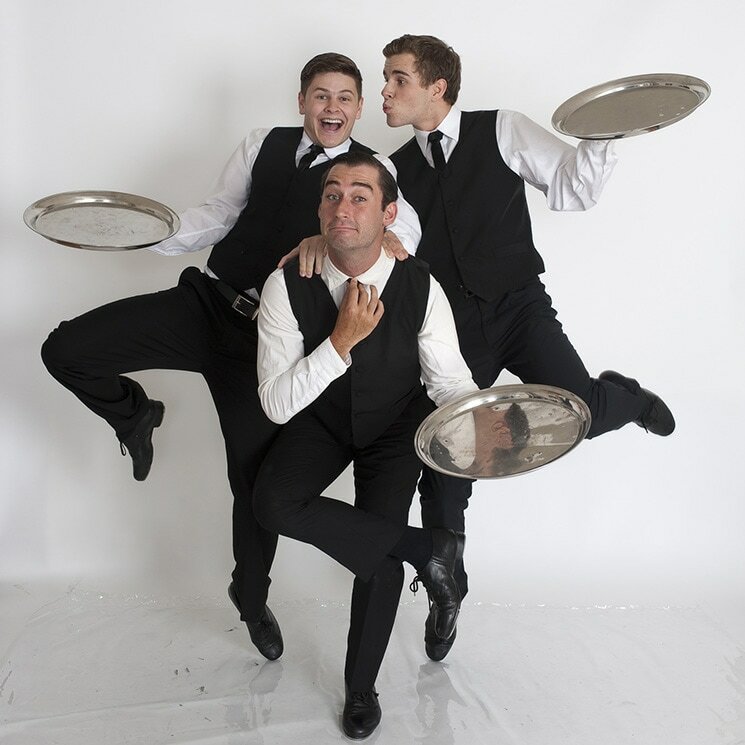 Waiters On Tap will leave your guests breathless with their dynamic, fast toe tapping antics, smart humour and impressive acrobatics. Be it a 5 minute opener or a 30 minute surprise act, the show is easily adaptable and tailored to suit your special entertainment needs. "Waiters on Tap was a huge success – thank you!!! 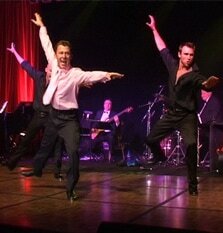 The guys were fantastic and we’ve received a lot of positive feedback about their performance. They way they incorporated our guests into their performance and the manner in which it was orchestrated created a real sense of surprise for everyone in the room and for those three guests themselves. No-one had any idea that Morgan wasn’t a client (even one of our staff said to him on stage that he hoped he’d still be a client of ours on Monday because he looked soooo annoyed and reluctant that he’d got called up on stage). Dene did a brilliant job in his MC / Choreographer role and getting everyone involved. Max blended in well with the waiting staff until he clumsily fell onto the stage – certainly taking everyone by surprise. It was great. Not sure whether you heard but they also dragged my daughter up on stage. When they found out she did Tap they suggested they incorporate her into the act, so I called my son and got him to bring Ebony’s Tap Shoes along (without her knowing) and they got her to do a little surprise demo too – so it was quite a thrill for her to have danced with three of Sydney’s best Tappers!! Thanks for all your support in the planning and preparation for our entertainment. 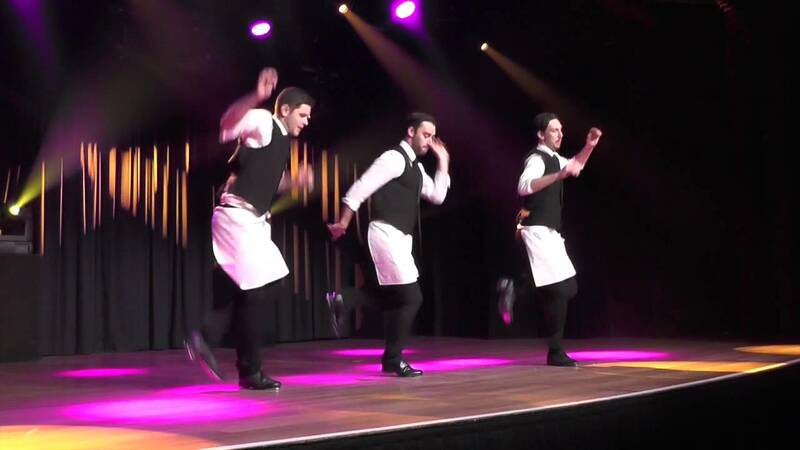 Waiters on Tap was fantastic."